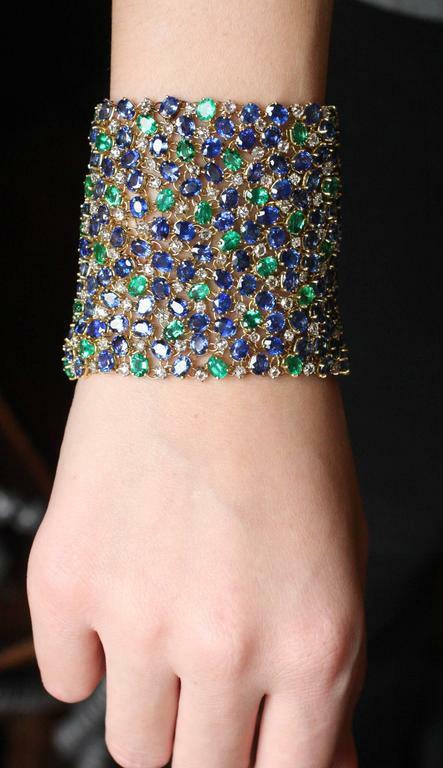 Showstopper 2 1/2" wide Sapphire, Emerald and Diamond Bracelet. Containing 125 Cts. of Sapphires, 29 Cts. of Emeralds and 12 Cts. of Diamonds. This bracelet is as flexible as fabric and a total knockout in person.